West Country Farmhouse Cheesemakers, an association of small British cheddar producers whose ranks include some of the best in the world, has announced one of the greatest website ideas ever. 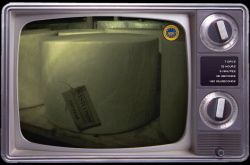 Beginning January 1, 2007, visitors to Cheddarvision.tv will be treated to a live webcam of an actively aging West Country Farmhouse Cheddar. 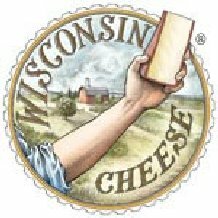 Since these cheeses are aged for one year, the cheese will be ready to eat on January 1, 2008! Dave Evan’s Creamery doesn’t look like ground zero for a revolution. With its hundreds of feet of snaking stainless steel pipe and hot tub-sized vats it looks more like a large moonshining operation than the locus of hope for a crippled and depressed small farm dairy industry. Dave himself, a stout, bearded man with a serious twinkle in his eye, might even look a little like a bootlegger - until you start talking to him. When asked how long he has been working his farm in Norwich, NY he replies with a simple, “Well, forever.” Dave grew up on the farm and was a young man when dairies around the Northeast started to disappear. Between 1980 and 2000 the number of New York dairy farms shrank from 19,000 to 7900 farms. At last count, that number is down to 7000.